Hello everyone, I hope you are all having a marvelous Monday like I am! Thank you to Katie for hosting this awesomely positive and uplifting link up 🙂 First things first, I felt absolutely marvelous after yesterday’s arm workout because I think my biceps are finally starting to come into shape. Also, make sure you enter into my marvelous giveaway to win 12 flavors of Arctic Zero protein ice cream! The pints have only 150 calories per pint and the bars have 85 calories. They are delicious and great as a post-workout recovery snack or dessert 🙂 The giveaway ends on Wednesday! 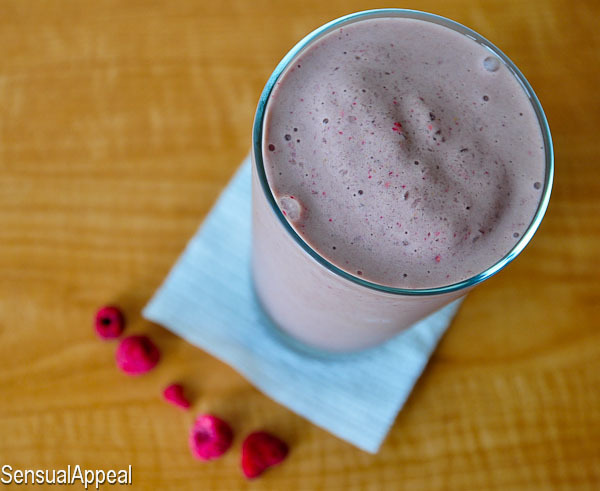 A marvelous recipe: Protein shakes have been replacing my regular egg breakfast. I can’t get enough. They are just SO good! It baffles me how people can just go and get a milkshake with all those calories, fat, and sugar when you can have an even better alternative, guilt-free, with a similar (if not better) flavor? It’s such a marvelous way to fuel your exhausted muscles after a good workout. PEANUT BUTTER JELLY! PEANUT BUTTER JELLY! What’s your jelly of choice for a PB&J? I am totally hooked on post workout smoothies too! you can change up the ingredients every time and add greens and protein powders! absolutely delicious! and u r right why drink a calorie loaden unhealthy milkshake if u can have THIS!!! That looks so good!!! Any smoothie with bananas in it I am guaranteed to love! Can’t wait to try this! I’ve always wondered that about actual milkshakes too! There are just so many ways to make it healthier and still taste delicious! Hahaha PEANUT BUTTER JELLY WITH A BASEBALL BAT! Love it. This looks awesome! 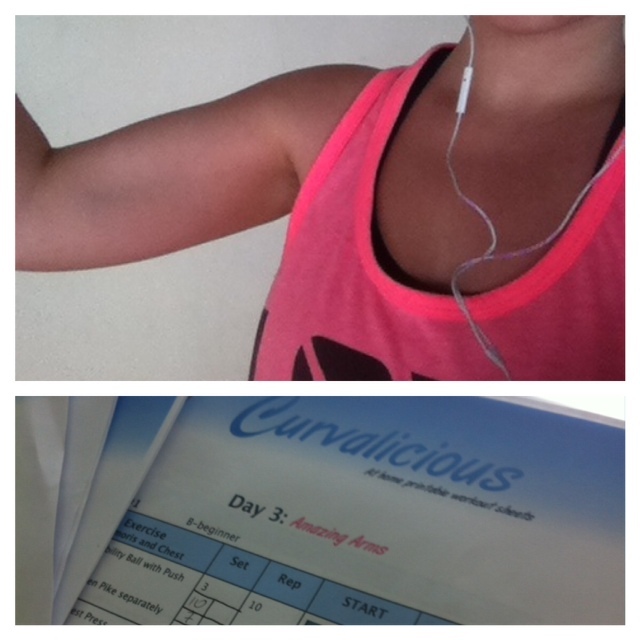 Your arms look amazing! And I can’t wait to hear who wins (I’m hoping it’s me, haha). I’ve always wondered the sane thing about milk shakes, I make delicious protein smoothies all the time and they are so good for me! Maybe people need to come to our house so we can show them how to get creative! Haha seriously! I so agree! I nominated you for a One Lovely Blog Award. I’ve been loving protein shakes lately too! I have one just about every day in the afternoon to get me through to dinner 🙂 I was just starting to get sick of my berry shake too, need to try your pb&j, sounds SO good! This looks so frosty and delicious – dessert or breakfast! Great idea to use the freeze dried raspberries. I can’t get any of those around here, so I’ll have to try with fresh ones. I’m sure fresh ones will be just as wonderful, I just didn’t have any on hand. Mmmmm….I can see that you share my PB2 addiction!! 🙂 Love this shake! Oh yes I absolutely love PB2! So addicting!